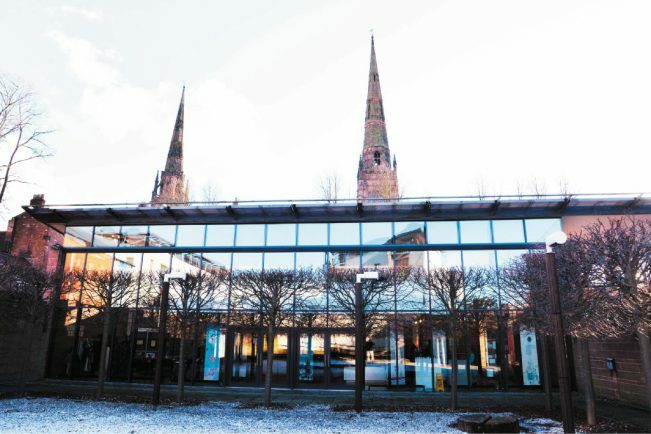 THE ‘internationally important’ venue for the Lady Godiva-founded priory and cathedral considered Coventry’s birthplace has finally been saved following its closure from council cuts and the Observer’s #savethepriory campaign. The Priory Visitor Centre is now expected to officially re-open six days a week from February 27 after its take over by a non-profit social enterprise organisation was formally approved today. The re-opening will come precisely a year after the closure to the world of the home to the 1000-year-old remains of the city’s first St Mary’s cathedral and priory – to save around £100,000, half the council chief executive’s salary. The Observer’s #SaveThePriory campaign had since February called on the council to ensure the venue was re-opened urgently, with community group takeovers being one potential solution. ‘Inspiring Communities’ social enterprise organisation will be the new operator after being previously selected as Coventry City Council’s ‘preferred bidder’ in July. Legal and technical details concerning the three-year lease arrangements are being completed and the takeover was approved today by cabinet member for community development, Linda Bigham. It follows a trial re-opening of the tourist and cultural venue in Priory Place for the city’s Heritage weekend earlier this month. Inspiring Communities’ Carole Donnelly said: “Inspiring Communities are excited to be given the trust and opportunity to reopen the Priory Visitor Centre and Undercroft for the citizens and visitors to Coventry. 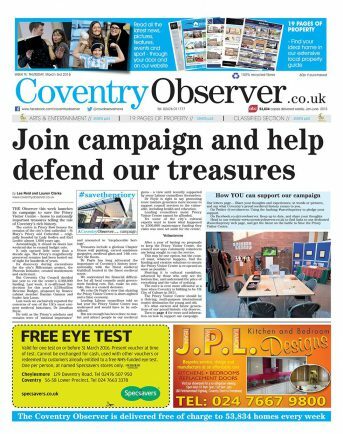 “It’s great to see a social enterprise being actively supported by Coventry City Council. Massive thanks to all who have joined in and seen our vision to be part of the City of Culture bid. Occasional open days before February 27 are being considered and funding bids can now be lodged. Our campaign call was supported by prominent figures including the Bishop of Coventry, the reverend Dr Christopher Cocksworth; TV Time Team presenter and Blackadder actor Sir Tony Robinson; eminent medieval historian Dr Jonathan Foyle; Coventry South Labour MP Jim Cunningham and Tory councillor and tourism guide Roger Bailey. The council as long leaseholder is requesting consent from the cathedral to underlet to Inspiring Communities, which now holds the sub-lease.